Rebecca is an innovative artists and a creative entrepreneur. I interviewed Rebecca in July, 2016 after a performance of her show “Blind Date,” an improvisational performance unlike anything I’ve ever seen before. 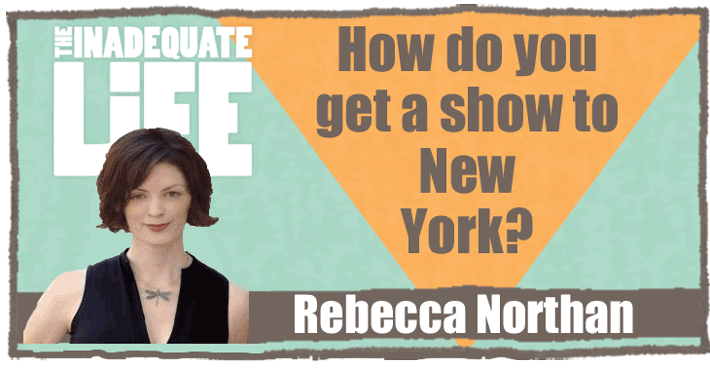 We talk about how Rebecca’s 10 minute theatre experiment, “Blind Date,” evolved into a full-length show that played off-Broadway and London’s West End. These days she’s improvising in iambic pentameter with her company Spontaneous Theatre. Keep an eye out for Spontaneous Theatre’s next production. I saw a production at The Stratford Festival and highly recommend it! Check out my interview with Spontaneous Theatre company member Raoul Bhaneja. Check out episodes that also mention acting, Comedy, Improvisation, New York, Stratford Festival.